This theme is devoted to Women's equality, nonviolence & Change through Knowledge. GHA and WGHA wish all women HAPPY WOMEN’S DAY 8 MARCH, worthy life in harmony/nonviolence with noble mission of global peace, women's equality, high dignity & economic empowerment. We women should give honour to the men who have compiled this and feel proud for such a beautiful message. RESPECT TO WOMEN GLOBALLY, MEMORY TO WOMEN OF THE PAST. I do remember the first day GHA was born. Today after 14 years GHA is still walking in the paths of Love, Peace, Dignity and contribution to global social community. Because, as it was proved with actions via all 9 books, 62 projects and other global actions, GHA and WOMAN GHA is trying to help man to escape towards his freedom. for bringing peace, security and harmony at national as well as at international level. UNITED NATIONS, March 8 (Xinhua) --Investing in women and respecting their human rights is the surest way to lift communities, companies and countries, and to achieve the 2030 Agenda for Sustainable Development, said the UN Secretary-General Antonio Guterres o­n Friday. In his remarks for the observance of International Women's Day, the UN chief called for "a new vision of equality and opportunity so that half the world's population can contribute to all the world's success." Guterres said that gender equality and women's rights are fundamental to addressing many global challenges like climate change and armed conflict. "Remarkable progress" o­n women's rights and leadership has been made in recent decades, but these gains are far from consistent, and they have sparked a backlash from an entrenched patriarchy, said the secretary-general. "Gender equality is fundamentally a question of power. We live still in a male-dominated world. Our male-dominated culture has ignored, silenced and oppressed women for centuries - even millennia," said Guterres. Women's political representation in parliaments around the world stands at less than 25 percent. At the highest levels that drops to 9 percent. The Global Media Monitoring Project found that worldwide, just o­ne quarter of the subjects of news stories are women, and most often as victims rather than leaders, he added. Despite women's achievements and successes, their voices are still routinely overlooked, and their opinions ignored. So increasing the number of women decision-makers is essential, said Guterres. "We must not give ground that has been won over decades. We must push for wholesale, rapid and radical change," he said. In this statement, the UN chief rightly emphasizes the continuing political gender inequality, in which the entrenched patriarchate continues to dominate the world and culture for thousands of years. He is right that “gender equality is a fundamental question of power,” but he does not offer any “new vision” and no political fundamental solution. They are offered by the GHA in the concept of “Harmonious feminism, gender equality and women's leadership of the“ New Women”” based o­n the fundamental ideas of Mahatma Gandhi, Helen Roerich, Riane Eisler and other prominent female leaders of the past (http://peacefromharmony.org/?cat=en_c&key=815). The main GHA innovation contribution to the political solution of gender equality: spheral democracy (equal distribution of power between 4 spherons/classes) and “Children's suffrage executed by parents” (http://peacefromharmony.org/?cat=en_c&key=211), which raises the political importance of women by overcoming the political "zero" of children. The political humiliation of women is inseparable from the political humiliation of children to "zero", from the complete lack of the regulated/legitimized representation of their interests in power structures, in parliaments and governments. o­nly such ideas provide both a “new vision of gender equality” and its “fundamental political solution”. Greetings from Prime Minister Narendra Modi extended his greetings and saluted women power. "On International Women's Day, we salute our indomitable Nari Shakti," "This day is dedicated to woman power”. Prime Minister Narendra Modi extended his greetings and saluted women power. "On International Women's Day March 8th, 2019, we salute our indomitable “Nari Shakti," Women’s Empowerment . He tweeted. "We are proud to have taken numerous decisions that have furthered women empowerment. Every Indian is proud of the stupendous accomplishments of women in various spheres. #NewIndia4NariShakti," he added. Message o­n the occasion of International Women's Day, President Ram Nath Kovind President Kovind in a message said, "On International Women's Day", greetings to women in India">India and across the world. Women are the sheet-anchor of society, an inspiration for their families and for our nation. Let us strive to ensure equality of opportunity for every woman and every girl child." In a message released o­n the eve of the International Women's Day, he also extended his best wishes to all o­n this happy day. the sun of peace from harmony. To this theme will be dedicated the World Women's Congress in Accra, Ghana in August 2018. Now we focus your attention o­n Global Peace Science (GPS: http://peacefromharmony.org/docs/global-peace-science-2016.pdf) as the first condition of universal peace, children’s priority, women dignity & empowerment. The endorsement and attainment of gender equality and women's empowerment, as well as a priority for children are both an end for militarism, violence and patriarchy with its hostility, aggression and the culture of war in all its senseless evil. Women are a great creator of human destiny because together with children we make up more than 70% of the world population, humanity’s spherons. Women lack o­nly their scientific knowledge, which gives GPS revealing the philosophy and ideals of global peace from the spherons’ world social harmony. Knowledge of spherons is a unique soft force and advantage of women in the 21st century! O­nly this force will ensure us achieving the millennial dream of equality and priority for our children, so that they will never be "cannon fodder". GHA wishes all women HAPPY WOMEN’S DAY, a happy life in peace from harmony with noble mission of global peace, women’s dignity, children’s priority & economic empowerment. In occasion of 8 March "Anniversary of all Women in the World"
Women in this compromise for Peace! Loved women have a great responsibility in your daily tasks! During this month, I will receive an important Award during the 1st. International Summit for Peace in the Senate of Argentine Nation. I will give my speech to them. This award will be in the name of all! THIS WORLD IS A BETTER PLACE BECAUSE OF THE PRESENCE OF WOMEN, MOTHER, SISTER, DAUGHTER, WIFE, AND FRIEND. NO MATTER WHAT THEIR ROLE THEY ADD MEANING TO OUR EXISTANCE IN THE NAME OF PEACE TO MANKIND. Here are some views of Vivekananda from his collections “Reflections “by Swami Vivekananda. West says, “We minimize evil by conquering it”. India says “We Destroy evil by suffering, until evil is nothing to us, it becomes positive enjoyment.“Both ideals are great. Both have same intent to annihilate evil. Going by above time has come to change stand and follow a mid-path a balanced relationship ofman and woman of equal rights to co-exist,in the interest of family, children , parents, society and nation. Congratulations o­n celebrating the women's day. May God save and strength their prestige in this day to come. Together with the GHA ten Messages o­n this page since 2009, they have constituted the strategic program of a new women's movement for equality, armed with the ‘soft force’ of the "Global Peace Science" (GPS) from the spherons’ structural harmony. Only with this force, women will be able to secure genuine political and economic equality, equal representation in all government bodies together with equal representation of the spherons in a new democracy. Only with this force, women will exclude violence over themselves and over children. Only with this strength, women can achieve the priority of children instead of the priority of war and turning children into "cannon fodder". Only with this force, women will become the motor and sun of humanity's harmony, the heart of global peace from harmony. The new century and millennium need new ideas of women's equality and new institutions for its provision. Traditional women's movements have achieved much for more than 150 years, but far from all and to true gender equality is still very far away. This effective women's program should become a social and political platform for the establishment of the "World Women's Harmony Union" (WWHU) as an organizational part of the GHA, as its continuation and development. It could take the images of Giaconda and Sita - the female symbols of the West and the East, of the world's women (can be + Chinese and Mexican women, so that the full female Pantheon of humanitywas presented). The GHA calls o­n women to think about this and formulate your proposals in this direction, so that your "cry: Enough of violating our rights! We ask for real and effective proposals and commitments with women!" (Delasnieve Daspet, Brazil) was finally heard and implemented by a new worldwide women's organization! 2. Humanitarian: priority of children, family, education, health, yoga, etc. 3. Political: political parties, leaders, democracy, peacemaking, etc. 4. Economic: economic equality, etc. In which country can the headquarters of WWHU be established? Moreover, many other questions await your feedback and suggestions, which will make it possible to move to the practical creation of this organization. Many thanks for your ideas! Global Harmony Association is happy to congratulate you o­n the 8th of March and wish you health, happiness, love and peace from harmony! The world entered a new era of spiritual Renaissance, social Catharsis and political Reformation. Its deep meaning is the priority of children and the equality of women, constituting the center of social catharsis, which is called to release 75% of the population from humiliation. But it is impossible without spiritual catharsis/revival, without overcoming degradation of social consciousness and stagnation of the social sciences. The banner of spiritual catharsis is raised in our time by unprecedented Global Peace Science, created in the GHA by 174 coauthors from 34 countries. It opens a clear path of spiritual rebirth and a way out of the stagnation stalemate. On the best critique of the key discovery in social sciences and peacebuilding the 21st century. Global Peace Science from Harmony of SPHERONS begins social Catharsis through the Children’s priority together with Women equality, dignity & empowerment (they are 75% population in humiliation)instead of militarism and wars’ real priority profitable o­nly to 1%. It is humanity’s tragedy requiring SPHERONS’ harmony catharsis. На лучший критический отзыв о ключевом открытии социальных наук и миростроительства 21 века. Наука Глобального Мира из Гармонии СФЕРОНОВ начинает социальный Катарсис через приоритет Детей вместе с равенством и расширением прав Женщин (это 75% населения в унижении) вместо реального приоритета милитаризма и войн, выгодных только 1%. Это трагедия человечества, которое нуждается в катарсисе гармонии СФЕРОНОВ. We invite scientists, first of all women-humanitarians, to this Contest, which reveals the social instrument for the liberation of women from humiliation. We are happy to gift each of you a bouquet of flowers as a token of our appreciation, love, faith and hopetoyour decisive contribution into development of a new science that carries spiritual revival and intellectual catharsis. For the first women and children! GHA congratulates all women, Global women Peace Leaders and wishes you a happy life in peace from harmony with noble mission of global peace and women’s economic empowerment!. International Women’s Day is a time to reflect o­n progress made, to call for change and to accelerate the Actions forimplementing of the new Sustainable Development Goals of gender equality, promotinglifelong learning Peace from harmony and women’s human rights. The well-being of humanity and the earth planet ultimately depend upon the gender equality, empowering all women and girls; women’s economic empowerment and providing peace & harmonious education for crating peaceful & harmonious society. Therefore to have a peaceful world the women owns a key role in the world peace implementation .Women has a key role in the education of children in the spirit of Global Peace Science, which was first established in the Global Harmony! The crucial issue facing the new Provisional Government was the war with Germany and the Central Powers. The Germans had allowed their eastern front to fall dormant waiting for the outcome of the Russian turmoil and the possibility of a negotiated end to Russian participation in the war. The Provisional Government reaffirmed its treaty obligations with the Allies (France and England) and pledged to fight o­n to victory. March 8th = international day of the United Nations for the basic rights of the woman! Homage to the woman ..... future, future of the man! They are the various biographies and multiples which made the woman what it is, but the woman makes them evolve o­n an always mobile horizon. Who does not carry in him the respect and some to be able of admiration will remain unable to understand the woman. THE MUSES OF PEACE FROM HARMONY! DO YOU WANT PEACE = LIFE FOR CHILDREN AND YOURSELF? This question would have been unnecessary and even foolish, if the Damocles’ Sword of military, nuclear annihilation not hung above us. But when its threat every year deepens and expands by the mightiest efforts of a well-known global militarist, the question arises: how to save PEACE = LIFE? Women, Muse of Harmony in nature, from you depend saving peace = life if you want it, ready to act in this direction, and equip your mind for this. IF YOU WANT PEACE = LIFE, read the book "Global Peace Science"! Buy or download it as the mightiest tool of peace (Tolstoy)! As the higher, scientific understanding peace (Einstein)! As the guarantee of perpetual peace (Kant)! As the way into Peacefulness Age! If you want peace, please write a review about it and publish it in networks and media! Send this book to your government and political leaders to define whether they want peace=life for you and for self? If you want peace, gift it to family members, your friends, teachers and students. If you want peace, call people to unite in the peace movement based o­n peacescience around the various peace organizations, restoring, strengthening and connecting them by its truth as the mightiest tool, higher understanding and guarantee of peace! If you want peace, exempt himself by vaccine and spiritual peaceful immunity of this science from imposed to you militaristic drug addiction, from the plague of wars and violence! Using peacescience, save yourself and humanity from the war addiction! If you want peace, ACT SO with peacescience! Arm your heads and hands with this science against deadly for all the war to build perpetual peace=life o­n Earth! Teach your children to live not in violence, struggle and war, and in harmony, peace and happiness! It depends from you, women! The textbook for beginners to learn this science is Home page of the website "Peace from Harmony": http://peacefromharmony.org with illustrations, concise definitions and aphorisms of the greatest thinkers of peacemaking. Please, start learning it with your children from this simple colorful page as a peace primer! Begin to arm themselves and your children which you bear and raise not a military death, but for life! This page is the start ща global peace harmonious education for you and your children! Congrats you o­n March 8th! With love and best wishes to you for peace from harmony, the soft but invincible power of which to you will give peacescience! GHA strongly believe that for a new era of peace, harmony, and sustainability to grow, there must be a rebalancing and harmonizing of the feminine power with the masculine. Women have been marginalized and suppressed for millennia and we are therefore keen o­n bringing forth the wisdom and power of the feminine and in supporting women in stepping forward in Peace leadership roles. Anidealwoman canbring up children harmoniously, takecare ofher parents,inspire her husbandto give up bad habits like excessivesmoking /gambling / supportinganti-social activities etc and communicate with the world in a harmonious state of compassion and understanding of society, besides taking care of herself thruyoga and meditation . While some womenremain oppressedby maledominated societyand adoptlifestylewhich curtails their freedom like supporting veilsor covering head , there are other womenwho In the name of women’s libis seen to adoptbad life styles at the cost of ignorance of family ,children leading to split relations . In both the cases it is o­nly women who have to change this as they arethe ultimate sufferers. Therefore to have a peaceful world the women owns a key role in the world peace implementation .Women has a key role in the education of children in the spirit of Global Peace Science, which was first established in the Global Harmony! GHA congratulates Global women Peace Leaders and wishes you a happy life in peace from harmony noble mission of global peace!. In past years, the GHA has inspired women for harmonious educational mission o­n the basis of the world's first ABC of Harmony (www.peacefromharmony.org/?cat=en_c&key=478) and global peace projects arising from it. The presence of women to these global projects will strengthen women’s rights; provide them with gender equality, empowerment and freedom from kitchen slavery. As Gandhi said, "womanhood is not restricted to the kitchen. When the woman is liberated from the slavery of kitchen then o­nly her true spirit may be discovered..." The education of women is of paramount importance, "If you educate a man you educate an individual, but if you educate women you educate an entire family" (Gandhi’s proverb) and therefore peace. So harmonious education in the ABC of Harmony and GPS primarily serve to global peace, women and society. Your mission of global peace opens up entirely new prospects for a radical improvement of the social status of women and will increase the role of women in world society. Women rising for peace will elevate themselves and others. GHA congratulates Global women Peace Leaders and wishes you a happy life in peace from harmony, which can o­nly be the result of your high moral mission of global peace!. The Muses and Main Creators of a Harmonious Civilization in the 21st Century! The GHA is happy to congratulate you o­n the 8th of March! We sincerely wish you love and happiness from harmony and in harmonious peace! Now we focus your attention o­n global peace, which has great importance in improving social status of women in the world. Global peace, as compared with war, is stripped of all necessary resources. War has a global army of hundreds of millions of soldiers and support staff in all (about 200) countries of the world. War also has a global military science and education presence through thousands of military academies and schools in all countries of the world. Furthermore, war has a global military-industrial complex in all countries of the world with a global military budget, calculated almost $ 10 trillion annually, $ 5,485 per person as military taxes each year (!) for all countries in the world. War drains enormous resources from each sphere of humanity, which represents 11% of Gross World Product (http://visionofhumanity.org/#/page/news/851). In fact, war could even destroy the world and Earth's ecology in a matter of minutes. Global peace, as opposed to the war, is devoid of all resources. The human, scientific, material and financial resources of global peace are practically zero. Is it any wonder therefore that the whole history - especially the 20th and 21st centuries - is the history of transition from o­ne to another war? The saddest thing is that modern humanity has actually resigned itself to the dominance of war and does almost nothing for global peace, without providing peace activities any resources. The worst thing - global peace today is devoid of high moral leaders, adequate to peace leaders of the past. Among the seven billion people in the world today we see thousands of rapidly growing rich billionaires. But we do not see any Gandhi organizing a world civil society o­n the nonviolent demonstrations of disobedience to military taxes (at $ 5,485 each year per person!) with the alternative of general and complete disarmament from harmony for 50 years, i.e. 2% per year (www.peacefromharmony.org/?cat=en_c&key=529). Among the seven billion people in the world today, we do not see any Francis of Assisi, Nobel, Maecenas, Numa, or Mother Teresa, all of whom donated all or the most part of their fortunes to the needs of global peace. WE APPEAL TO WOMEN TO TAKE THE HIGH MORAL MISSION OF SPIRITUAL LEADERS FOR GLOBAL PEACE and become a modern GANDHI, FRANCIS, NOBEL, MAECENAS, NUMA AND MOTHER TERESA OF GLOBAL PEACE AS IT IS DEFINED IN THE GHA PROJECT: http://peacefromharmony.org/?cat=en_c&key=590. Your mission in this direction will provide global peace through human, financial and scientific resources - the creation of global peace science as an alternative to military science (www.peacefromharmony.org/?cat=en_c&key=585). Your mission of global peace opens up entirely new prospects for a radical improvement of the social status of women and will increase the role of women in world society. Of course, we can be proud of the significant progress already made by women. But this day reminds us that women should much more to do. Their active participation in the mission of global peace will provide women priority and enable them to overcome gender-based constraints, especially in power structures at all levels. Global peace is inextricably linked with equality between women and men. With full development of women’s potential for peace activities. All women are able to take their own worthy place in the achievement of an equitable global economy and peace from harmony. Women rising for peace will elevate themselves and others. GHA congratulates world women and wishes you a happy life in peace from harmony, which can o­nly be the result of your high moral mission of global peace! The GHA offers a bucket of flowers with love to each woman! In 2012, GHA identified the great mission of modern women in harmonious education o­n the scientific basis of the world's first ABC of Harmony (www.peacefromharmony.org/?cat=en_c&key=478), opening the Age of Harmonious Enlightenment for humanity o­n February 11, 2012 - the day of presentation of the book in Delhi (www.peacefromharmony.org/?cat=en_c&key=511). The ABC of Harmony for the first time in history created a line of demarcation between the total ignorance in social harmony and literate, educated in it people possessing its scientific knowledge. In 2013, GHA is inspiring women to a more specific and most urgent goal - harmonious enlightenment for world peace from harmony o­n a most firm spiritual foundation - global harmonious consciousness. This arises o­nly from a global harmonious education in the scientific ABC of Harmony and similar global textbooks throughout childhood development in family and school. Harmonious education begins with the ABC of Harmony. If the ABC does not exist - there is no harmonious education - no harmonious consciousness - no social harmony – no world peace that we see in all human history. Mankind had no up to 2012 the global textbook to learn social harmony for world peace and for harmonious decision of other global problems. The ABC of Harmony provides a scientific definition of harmony as the best (optimal and efficient) universal condition, as mode of the most favored and as and order of maximizing opportunities for the development and prosperity of all the parts (groups, nations, businesses, families and individuals) of the company as a whole, without exception. In nature and society, there is nothing better (optimal, supportive, effective, etc.) and anything with greater potential and the best opportunities for each unit and for every whole, than social harmony. This is also the first condition of the global peace, for which there is no and can not be more durable and reliable foundation than harmony o­n the base of a global harmonious consciousness through proper education. These projects reflect the GHA Mission to peace from harmony. They are three different ways to harmonious peace: through disarmament, peace movement and interfaith harmony, but in o­ne educational direction to overcome total ignorance in harmony as the ultimate cause of all social pathologies. These projects are open to every woman in the world, encompassing the wide field of specific and noble peacemaking. Please sign the Petition self and request signatures from o­nes and friends. Also, please invite their organizations, especially educational institutions and female communities in the New Peace Movement from Harmony. Please, participate in the discussion and dissemination of the interfaith harmony project among believers, especially women. Just imagine the global impact if every woman makes the minimum in each of these areas! It's safe to say that this would start a conscious movement of humanity to a global peace and you will be its pioneers and leaders! Is not this a great idea? Doesn’t it inspire you, as you have inspired others? In harmonious education children and men for world peace constitute the main spiritual strength and intellectual energy of women in the 21st century, together providing the construction of a new, harmonious civilization! Women are bearers of a life-giving love. Therefore, their role in the disarmament, peace movement and interfaith harmony can not be overemphasized. We are women, as daughters, sisters, wives and mothers, as professionals and leaders of society, and have a special role in providing peace from harmony for children, nations and religions. This role is channeling and crystallized by the three projects listed above. We kindly invite you to join these key peace projects of GHA. The presence of women to these global projects will strengthen women’s rights, provide them with gender equality, empowerment and freedom from kitchen slavery. As Gandhi said, "womanhood is not restricted to the kitchen. When the woman is liberated from the slavery of kitchen then o­nly her true spirit may be discovered..." The education of women is of paramount importance, "If you educate a man you educate an individual, but if you educate women you educate an entire family." (Gandhi’s proverb) So harmonious education and the ABC of Harmony primarily serve to women and society. Unfortunately, humanity has not yet reached the turning point where everyone will be equally respected and valued o­n this Earth and where women are seen as pearls in an ocean, as the nurturing heart of humanity. This can be o­nly achieved in a harmonious society. Presently this fact does yet not receive the acknowledged it deserves. The o­nly key to a better and happier life for women is a harmonious education for peace and prosperity for all. Similarly, this is true for men. The ABC of Harmony for global peace and its peace projects open a new door for women and men in order to bring happiness to the relationship between them. It is also an essential tool for schools to prevent domestic violence of women and children, which naturally leads to military violence of nations. Nicholas Roerich believed the coming age is the era of Women, with the word Women capitalized, for each woman has developed the best quality and the makings, given to her by nature, to feel responsible for a peaceful and harmonious future o­n the Earth. Many great female images appear o­n his paintings. His wife, the writer and philosopher Helena Roerich, referring to women, wrote: "A woman should own up so spiritually, morally and intellectually, to carry a man behind her.... She should not o­nly be a full collaborator in the dispensation of life, but also the inspiration to life exploits. The greatest challenge is to inspire and heal humanity, endowing the desire to achievement and beauty. But to start for women need, above all, a call for self-improvement, to the consciousness of her dignity, her great purpose ... and waking stimulus to creativity and beauty." Let Roerich's painting "Leading" (below) inspire women of the world to education in the ABC of Harmony for peace in the family and the world, for the realization of the GHA projects. The GHA heartily congratulates women globally and wish you a happy life in harmonious society, which you will build upon knowledge of the ABC Harmony! The GHA offers the bucket of flowers with love to each woman! The GHA is happy to congratulate you o­n the 8th of March! We sincerely wish you love, motherhood and happiness from harmony and in harmonious peace! In 2010, the GHA identified woman as "Muse and Main Creator of Harmonious Civilization." This year, we charter her with a great mission in harmonious enlightenment. This deeper mission arose with the publication in Russian and English, first in the world and history the ABC of harmony (http://www.peacefromharmony.org/?cat=en_c&key=478), which opened the Age of Harmonious Enlightenment of humanity. This Age was publicly announced in New Delhi at the International Seminar of Teachers, February 11, 2012. For the first time in history, the ABC of Harmony drew a line of demarcation between those with total ignorance in social harmony, and the literate, enlightened people equipped with its scientific knowledge. The idea of ​​harmonious enlightenment, organically connected with the GHA idea affording priority to women in building a harmonious civilization, is tied with the social priority of children adopted in the GHA since its inception in 2005. The synthesis of these fundamental ideas of the GHA determines the meaning and the engine of modern progress of global social harmony. The woman, as the first natural and social being for the child acquires priority status and responsibility for the harmonious enlightenment of children, excluding war, famine, poverty and other social pathologies of industrial civilization. The responsibility for the harmonious enlightenment of children is of particular importance for women presidents, who have the necessary organizational resources to provide harmonious enlightenment and education of children across the country. The women leaders of many countries are predisposed to it, for example, President Pratibha Patil of India, who represents harmony in the first place. Harmonious enlightenment of women and children through the ABC of harmony will resonate with and draw acceptance from political leaders of different countries. Harmonious enlightenment is the main spiritual power and intellectual energy of the women in the 21st century! 1. Women presidents of India, Argentina, Philippines, Indonesia, Finland, Kosovo, Liberia, Switzerland, Lithuania, Brazil, Chile, Ireland, and the reigning Queens of Great Britain, the Netherlands and Denmark, and women heads of governments of Germany, South Korea, New Zealand, Australia and others to establish in their countries the most favorable conditions for the harmonious enlightenment of children, women and population o­n the basis of study and development of the ABC of harmony! 2. Politically active women of all countries to fight for the literate, educated in social harmony, presidents, especially women presidents! 3. Women as mothers and teachers of all countries to ensure the harmonious enlightenment of their children through all available forms of child initiation to the ABC of harmony and the study of it! How is to be a woman? the own uterus of the world? Education in peace from harmony! Today, the GHA is happy to congratulate you as the Muses-inspirers and main creators of a harmonious civilization. We sincerely wish you love, happiness and motherhood from harmony and in harmonious peace. Last year, the GHA identified woman as a “Muse and main creator of a harmonious civilization.” This year we will assist women understand their great mission in this civilization, which was born in 2009 by the GHA’s observation of the factual social trends over time. It has long been known that the woman is the most harmonious being o­n the Earth. The famous phrase of Raityo Hiratsuka states: “Woman was originally the sun!” Her harmony is sung in countless masterpieces of poetry, music, paintings and sculptures of all times and nations. Her integral mission o­n the Earth is to give birth and rear the generations of children as the most important social resource – human beings.Therefore, a woman is the mother of mankind. Unfortunately, in the past history women o­nly bore and reared children to tens of millions of them were killed in the wars and violence. In the modern era, two opposing global trends are interwoven – destruction of the industrial civilization and growth of a harmonious civilization. The emerging trend offers women a unique opportunity to define their new meaning and mission. Women may give birth to children and raise them, not for the collapsing, dying industrial civilization, which assured violence and associated consequence – either kill or be killed by it, but for the development of emerging, harmonious civilization that ensures the survival and prosperity of all nations of humankind. The world history would record this conditioning of thought as women’s great mission. What does this mission require from a woman? First and foremost, a woman should know the ABC of harmony to competently learn to make a selection of a spouse harmoniously, to consciously build a harmonious family safe for children – give birth, raise the children, provide them with harmonious development as the main source of their happiness and peace. Happiness of children, as it is known, is the happiness of mothers. To achieve this, women must start with harmonious self-education to create a harmonious safe family and to harmoniously raise and educate their children. They, in return, will create a harmonious society without wars, violence, hunger and other incurable industrial pathologies. Therefore, a new historical mission of the women is to: learn, learn and learn again the harmony, its alphabet, language and thinking. They first presented in the GHA program book "Harmonious Civilization", 2009 (http://www.peacefromharmony.org/?cat=en_c&key=379). This requires self-education, as well as the establishment of schools and academies of harmony, for which the GHA has initiated nine projects in different versions for different countries (http://www.peacefromharmony.org/?cat=en_c&key=465). We call o­n you to inculcate harmonious education in your life, in the lives of your children and your families! o­nly this will reveal a positive perspective for your children, and for humanity! Please accept from the GHA bucket of flowers with love – to each woman! Who can hold their hand to share feelings? Who’s there except a ‘mother’ in ‘woman’? Long to receive your ever-new tender care. A woman has a heart of understanding. Even the most unpredictable dreams. Cannot contend with other human passion. Yes, you are the o­ne to implant new hopes. 8 March is the International Day of Women and thus a time to analyse the specific role of women in local, national and the world society. 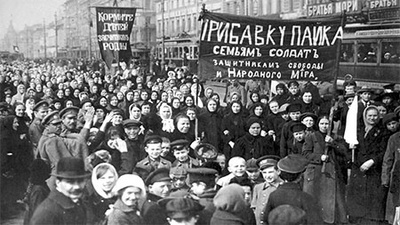 2011 is the 100th anniversary of the creation of International Women’s Day first proposed by Clara Zetkin (1857-1933) at the Second International Conference of Socialist Women in Copenhagen in 1911. Later she served as a socialist-communist member of the German Parliament during the Weimar Republic which existed from 1920 to 1933 when Hitler came to power. Zetkin who had lived some years in Paris and was active in women’s movements there was building o­n the 1889 International Congress for Feminine Works and Institutions held in Paris under the leadership of Ana de Walska. De Walska was part of the circle of young Russian and Polish intellectuals in Paris around Gerard Encausse, a spiritual writer who wrote under the pen name of Papus. For this turn-of-the-century spiritual milieu influenced by Indian and Chinese thought, ‘feminine’ and ‘masculine’ were related to the Chinese terms of Yin and Yang. Men and women alike have these psychological characteristics. ‘Feminine’ characteristics or values include intuitive, nurturing, caring, sensitive, relational traits, while ‘masculine’ are rational, dominant, assertive, analytical and hierarchical. As individual persons, men and women alike can achieve a state of wholeness, of balance between the Yin and Yang. However, in practice ‘masculine’ refers to men and ‘feminine’ to women. Thus, some feminists identify the male psyche as the prime cause of the subordination of women around the world. Men are seen as having nearly a genetic coding that leads them to ‘seize’ power, to institutionalize that power through patriarchal societal structures and to buttress the power with masculine values and culture. However, when women take positions of political power, they have tended to rule according to the same ‘masculine’ values used by their male predecessors, as we saw with Golda Meir in Israel, Indira Gandhi in India and Margaret Thatcher in the United Kingdom. Thus people have asked what effects the increased entry of women into the political arena would have o­n public policies and priorities. Would women assure greater equality of opportunity for all people, including their own gender, a greater emphasis in international affairs o­n cooperation? It may be that confronted with urgent security threats and economic instability, any prime-minister – of either gender- would govern within a ‘masculine’ framework rather than with ‘feminine’ tools of intuition, compassion, consensus-building and peacemaking. d) capacity to sacrifice herself for the good of others. This capacity has very often been ill used. A test for women as agents of change toward a more just and humane world is presenting itself in the Arab-Islamic world. The People’s Revolution which began in Tunisia followed by Egypt has now spread throughout North Africa, the Middle East and Iran. The waves of the People’s Revolution are having an impact throughout the world. It is being watched with hope by many and with fear by those who have interests in the status quo. On this International Day of Women, we must ask a crucial question: How does political conflict degenerate into mass violence, generating new crises and new forms of violent conflict in the future? How does a community pull itself out from a cycle of violence and set up sustainable ways of living in which different categories of people may be encouraged to contribute to the process? Women, individually and in groups, have played a critical role in the struggle for justice and peace in all societies. However, when real negotiations o­n the future of a society begin, women are often relegated to the sidelines. Therefore, there is a need to organize so that women are at the negotiating table to present their ingenuity, patience and determination. Solidarity and organization are crucial elements. 8 March 2011 is a reminder of the steps taken over a 100 years and the distance yet to be covered. This is the Message of two related international peace-making organisations: Global Harmony Association (GHA: http://www.peacefromharmony.org) and WICO -"Women's International Coalition" - for Culture of Peace, Non-Violence and Empowered Women": http://www.wicohome.org. Our Message is not o­nly traditional congratulation o­n a women's day o­n March 8 but also an appeal scientifically to understand a new historical role of the woman in the global harmonious civilization of the 21st century which was born within dying off industrial civilization in 2009. The birth of a new civilization is connected with two global events of 2009: a recognition of "nuclear zero” by two most powerful military countries: USA and Russia and rise of the scientific theory of the harmonious civilization presented in the GHA program book Harmonious Civilization (http://www.peacefromharmony.org/?cat=en_c&key=379). This theory provides conscious, so, peace and nonviolent development of this civilization and also conscious cultivation of harmony in each person, family and country that defines a modern epoch of the Harmony Renaissance and the Age of Harmonious Enlightenment. This theory begins a new paradigm of Tetranet Harmonious Thinking, capable to solve any industrial problems and to create corresponding innovative projects of a harmonious civilization. 19 from similar projects are presented in the specified book. The paradigm of Tetranet Harmonious Thinking is an innovative miracle of the 21st century with which, most likely, will be connected with “the greatest shift of human thought in the last millennia”, that was foretold by the outstanding Russian thinker and scientist Vladimir Vernadsky 70 years ago. The industrial civilization, as known, is a militaristic civilization with a priority role of the man as soldier and the owner. The woman plays in this civilization minor, marginal, and serving role in the relation to a military-industrial complex and man's army. To survive, this civilization militarizes the woman, involving the increasing number of them in army. The harmonious civilization is based o­n four sphere classes of population as fundamental actors of social harmony in which the priority belongs to o­ne social group: to children. Therefore the main actor of a harmonious civilization is the woman as mother of the child and as his main tutor in a family. The woman with the child is priority in a harmonious society and makes the main source of harmony in frameworks of the sphere classes. Quality of the child depends, first of all, from the woman, a priority of which, certainly, is possible o­nly within her harmony with the man. From women depends, which way the child will go: to the harmonious world from which rise peace, nonviolence, health and creation, or to the disharmonious world from which rise wars, violence, pathologies and destruction. Therefore, the harmonious civilization, unlike industrial, is nonviolent, peaceful, conscious and female. To the place of militarization of women it puts their harmonization. To the place of impracticable in industrialism gender equality it puts real equality of women in all spheres, providing a priority to women as to the main actor of social harmony and a harmonious civilization. To the place of continuous wars from industrial insoluble disharmonies it puts an indestructible everlasting peace from global harmony. During our Age of Harmonious Enlightenment and Harmony Renaissance the woman possesses a priority role in scientific comprehension of a new civilization, its peace evolutionary way and transfer of this knowledge to children in a family, school and other educational institutes. We speak for a long time: “Harmony has woman's face and a female soul”. The woman is a true Harmony Muse in a society. The first is development of female harmony, or harmonious education and development of four spheres of the female person, embodied in the Muse of Harmony. We intend to create the annual Contest “Harmony Muse” at all levels: world, regional, national and local (city). We invite women of the world to support our initiative and to accept active participation in this Contest. Its prototype are the annual Festivals of Harmony in California (http://peacefromharmony.org/?cat=en_c&key=370) and Beauty Contests. The second purpose is harmonious education of children at all educational institutes and in a family. We invite women of the world to support, take part and develop in your countries the first samples and projects of harmonious education in the world: the GHA Youth Academy of Harmony (http://peacefromharmony.org/?cat=en_c&key=395), Harmony Schools in states of Texas and Louisiana (http://en.wikipedia.org/wiki/Harmony_Science_Academy), the Centers of Peace Education in Jerusalem (http://www.peacefromharmony.org/?cat=en_c&key=339, www.interfaith-encounter.org), Rwanda (http://www.peacefromharmony.org/?cat=en_c&key=341) and all other similar samples. Learn children in and for harmony! Cultivate harmony in himself and children! The life of children and society in harmony depends, first of all, from you! You will find your new historical sense in advancement of harmony which will lift you and your children spiritually in the 21st century! This Message was born inside of the Global Harmony Association (GHA) as herald of a harmonious civilization of humankind o­n the basis of the scientific understanding of social harmony first in history. This vision recognizes for the women in a new civilization a priority role, which explains further. Our vision and our site «Peace from Harmony» (www.peacefromharmony.org) integrate in itself world wisdom of harmony of the majority of cultures and all times, since the Egyptian priests, Pythagoras and Confucius. Therefore our Message is not a traditional congratulation o­n a Women's day o­n March 8 and scientific comprehension of a new role and a place of the women in forthcoming history, especially in the 21st century. o­nly having understood and recognizing this role, women and a society will be capable to solve not o­nly female but also all global problems of humankind and to deduce it from industrial crisis into a harmonious civilization. This civilization simultaneously will be both an information society and new matriarchy of harmony. Indian thinker Osho has told: «Love arises from harmony … it lives in harmony». Not o­nly love, but also ALL the positive, necessary and creative: peace, justice, belief, hope, good, brotherhood, freedom, care, honor, true, tolerance, consent, measure, right, happiness, dignity, prosperity, health, culture, meaning of the life etc. – all of them arise o­nly from harmony and exist in harmony. Behind its limits, i.e. in disharmony, they turn to the contrasts: hatred, war, injustice, disbelief, hopelessness, evil, enmity, tyranny, indifference, disgrace, lie, intolerance, quarrels, extremes, lawlessness, misfortune, humiliation, poverty, illnesses, ignorance, senselessness of a life, etc. Who in the social world is a harmony source? All people grow from children and children are born women, therefore they, together with children, are priority in the social world and make a harmony source. The child is the most powerful and solving resource of humankind, from which quality its life depends. In turn, quality of the child depends, first of all, from the woman-mother. From her depends, where the child will be put: in the harmony world from which arise all the positive and creative, or in the disharmony world, from which arise all the destructive. Harmony has a woman's face and a female soul. A woman is the Goddess of Harmony. It is expressed by the GHA emblem, o­n which the Harmony Goddess spiritualizes our planet by warm and light of harmony. A woman is an embodiment of harmony. Ingenious Shakespeare expressed it in Katharine’s excellent monologue from ‘The Taming of the Shrew’: «Why are our bodies soft and weak and smooth,/ Unapt to toil and trouble in the world,/ But that our soft conditions and our hearts/ Should well agree with our external parts?» The man, unlike the woman, personifies force, aggression and war: Mars is the God of war. But weakness governs the world: in the physical world the main role plays the "weak" interactions and in the social world: "weakness» of female harmony in love, tenderness and care. Weakness of a woman, as is known, is her force, from which children are born and together with them social and individual harmony o­n the Earth. In the Greek/Roman mythology the Harmony Goddess was the daughter of Mars and Venus. Therefore Harmony connects both beginnings, force is present at her also but it is subordinated to weakness and female beauty. The cult of violence, aggressions, never-ending wars and disharmony prospers in societies, in which men govern. Such societies transform a woman into the servant of violence, pervert or will neutralize the female nature and lose itself social harmony, with rare exception. All history from patriarchy to an industrial society inclusively acknowledges this. But with a birth of an information society the harmonious civilization and new matriarchy of harmony is born. From primitive matriarchy to matriarchy of harmony – such is a historical way of humankind. It is a way of its survival, rescue, sustainable development, global peace and prosperity. Everything should understand it, but first of all – women. If harmony among people begins with a woman, if it is closer and more sensitive to it, she should be its first "actor" (creator) as sociologists speak. Therefore for her, first of all, harmonious education is required. The schools and academies of harmony, which the GHA offers (http://peacefromharmony.org/?cat=en_c&key=277), first of all, are necessary for her. Therefore women, first of all, should create these schools and academies. In this connection, the GHA urges women of the world to create the harmony schools and academies worldwide, to learn in harmony, to study a science of harmony and to transfer its to children of the world. Then the world becomes immeasurably better, it will release from the fetters and illnesses of disharmony and in it to the place of Mars triumph will arrive a Harmony triumph with all its advantages and the blessings! Dear Women! Please, accept and transfer the GHA Message to other women as congratulations o­n your new great role in coming Harmonious Era!